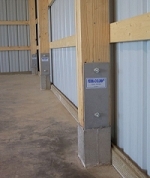 PERMA-COLUMNS® are the newest innovation in the Post Frame Building industry. The patented design combines the economy of post-frame construction with the durability of a concrete foundation. This new column leaves the worries of treated lumber in the past by keeping all wood out of the ground! 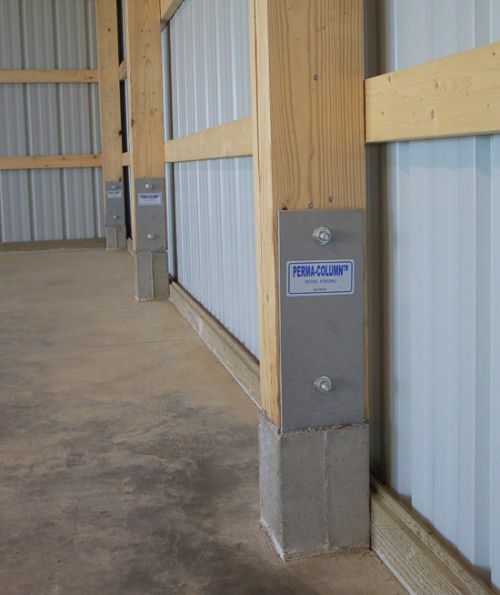 With the current regulations on CCA lumber and the unproven record of ACQ, why chance your building on a wood foundation?